I've been writing online for a number of years now and the more I read, the more I start to understand that "If you want to become a writer, just write". 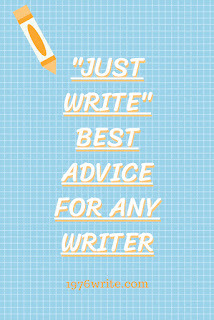 It seems so simple and yet not the most helpful piece of advice you can give to someone who obviously writes. 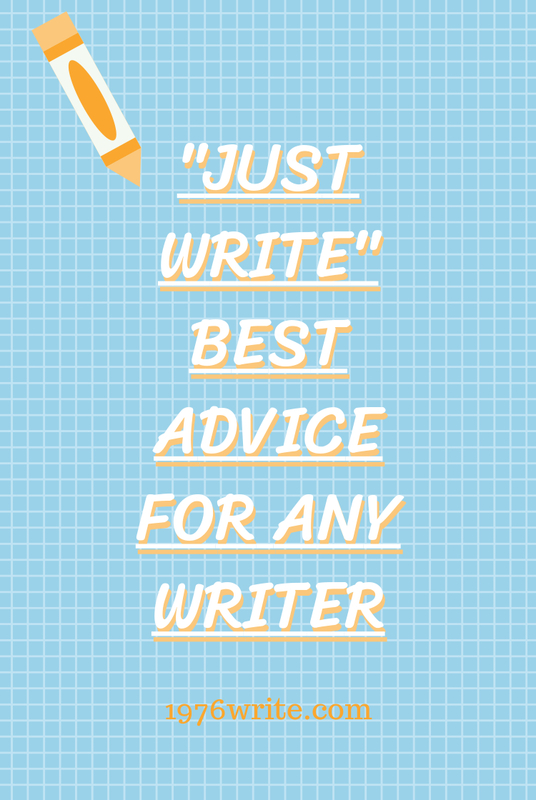 It's not a great piece of advice if you're looking for information about better writing. The "rules" of writing are simple guidelines to follow and not principles to stick to. Many writers may see that using long sentences, adverbs and the passive voice as a weakness, others prefer to incorporate into their compositions, which turn out great anyway. A good example: J.K. Rowling was scolded by Stephen King for her frequent use of adverbs, look at how that turned out. Don't take this the wrong way, don't stop reading "How to write" books and articles. Instead get to grips with the basics instead. It's pointless reading about writing when you're not practising it. I do my writing at night, after I've eaten my dinner and watched the news. These habits are all part of my creative process. I prepare the ideas in my mind during the day before I sit down and start writing rationally later on in the day. Who is interested in knowing about my writing foibles? If you look on Amazon books or Goodreads you'll discover the same book with different rating. From 1-star up to 5-stars. How is it possible for that same book to be both low and highly rated? Writing can be really subjective, this is due to the individual readers preference and how they see your work. To put it simply, you can't please everyone all of the time. Try looking at it from a slightly different perspective, write for the people who'll benefit most. Okay so you're thinking "What if I write something and it's terrible?" Well I would answer you with "You can improve on something terrible". The point is you need to start somewhere, and a draft is just the beginning, you can go on to polish it later. If you want to write well you need lots of practise. It's like any project you do. Starting is always the hardest part. The human brain does strange things when something mammoth sized comes along. It starts by visualising all of the things that can go wrong, then begins to pretend to be productive by wasting time with useless tasks like answering emails or text messages. To get of over that hurdle you need to go for it! Once you get started you won't want to stop.